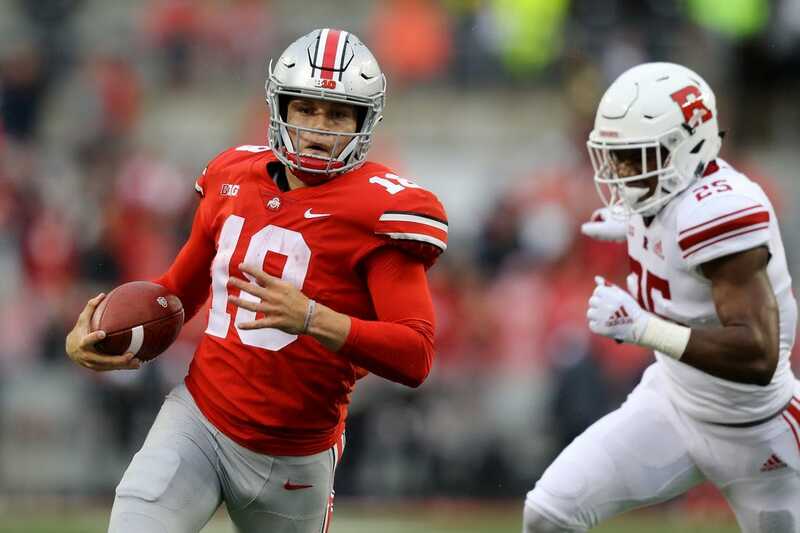 The NCAA cleared Ohio State transfer quarterback Tate Martell to be immediately eligible at Miami, where he began spring ball Tuesday. Martell enters the season with three seasons of eligibility with the Hurricanes after the NCAA approved his waiver request to avoid the usual transfer penalty of sitting out a season. Martell joins a competition that includes sophomore N'Kosi Perry and redshirt freshman Jerren Williams. Perry completed 50.8 percent of his 191 passes for 1,091 yards, with 13 touchdowns and six interceptions last season as Miami went 7-6 before coach Mark Richt announced his retirement. Freshman quarterback Peyton Matocha will arrive from Houston in the summer. It's a clean slate under new Hurricanes head coach Manny Diaz. "What we have done today is what we wanted to do -- we have knocked everyone out of their comfort zone, which is ideally what we wanted," Diaz said after the first practice of spring ball. "There's not a guy on the field who has it all figured out. That's part of what we think is going to make us better." Martell, a 5-foot-11 dual-threat quarterback, was the national Gatorade Player of the Year following his 2016 season at Bishop Gorman High School in Las Vegas. He redshirted at Ohio State in 2017 while J.T. Barrett handled the bulk of the duties, and Martell was mostly a spectator to Dwayne Haskins' superb 2018 season as the Buckeyes' starter. Martell was 23 of 28 for 269 yards and a touchdown last season, also rushing 22 times for 128 yards and two TDs. Although Haskins moved on to the NFL Draft, Martell appeared to be eclipsed again after the season when Ohio State brought in Georgia transfer Justin Fields, a former five-star recruit. Fields spent one season as a backup with the Bulldogs before also winning a waiver to be immediately eligible at his new school.